This will contain information on interesting tourist and historical places which may be near us, but may have missed out in our hectic life. Since the temple town of Kancheepuram attracts all the tourists, some of the smaller temples lose their relevance, yet no slouch when it comes to rich history and heritage. One such temple is the Parasurameswarar Temple in a less known village called Tirumalpur, about 20 to 25 kilometers from Kancheepuram. Does the name ring a bell? It should, for it was here the saint “Ramar” prayed to lord Shiva and got his Axe (Parasu) as a weapon and become Parasuramar, the 6th incarnation of Vishnu. Hence the lord is also called as "Parasurameswarar"
According to recorded history the temple is at least 1500 years old, but the priest claims that there are some mentions in “Kanchi Puranam”, which was recovered from the erstwhile Nalanda University that the temple may have been present even about 3000 years back. The beautiful temple is surrounded on all sides by paddy fields and coconut trees. It is west facing, contrary to the common practice of being east facing. It is believed that worshipping in a temple with such a formation will get rid of any vaastu related problems one may have. Also to be noted is the fact that the Ambal is facing the Lord and on the right side of the Lord. Such a presence symbolizes any problems in marriage or delays in marriage will be rectified by praying to the Lord and Ambal. 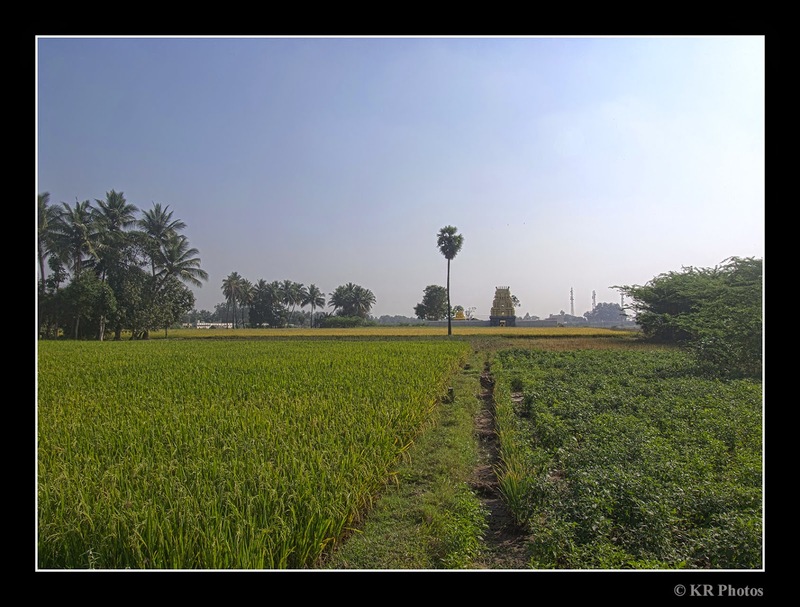 If you want to visit the temple, take the road that connects Kancheepuram to Tirutani. Just beyond the Tirumalpur railway station take a left turn, that will take you into the beautiful small town of Tirumalpur, where you can find this temple.